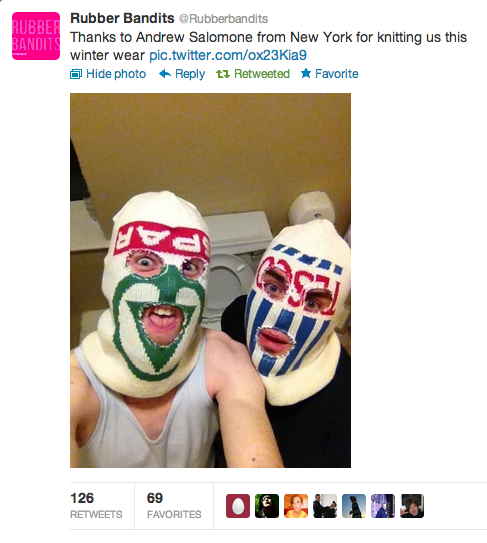 The Rubberbandits posted this image of themselves wearing the balaclavas that I made for them. 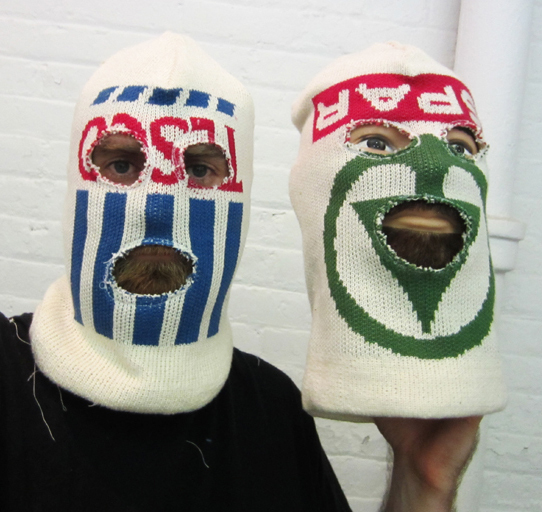 I shipped the balaclavas well over 2 months ago, but they were presumed to be lost in the post, so I’m delighted that these finally made it to the boys. Basically, The Rubberbandits are an Irish duo who perform satirical music whilst concealing their identities with balaclavas made from plastic shopping bags. I thought they might appreciate some properly knit balcalavas with the shopping bag logos knitted onto them and managed to get in contact with them, at which point they enthusiastically accepted them. Job done.